Lately, I’ve been wanting to step outside of my clothing comfort zone. My everyday outfit consists of a random shirt or jersey (which usually belongs to my boyfriend), whatever jeans are laying around, and a pair of dirty sneakers. But with the warm weather finally making its way to NYC, I’m ready to revamp my wardrobe. In college, thrifting was my go to when I wanted to switch it up without breaking the bank. Though I am a New Yorker, I have never thrifted here. Never. Mostly because I have always been under the impression that thrift stores in New York are way more expensive than thrift stores in Baltimore. 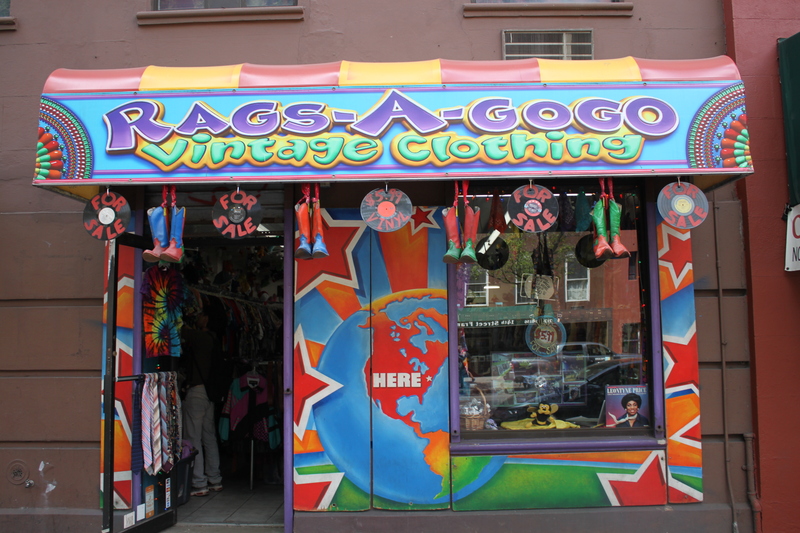 My first stop was Rags-A-GoGo. 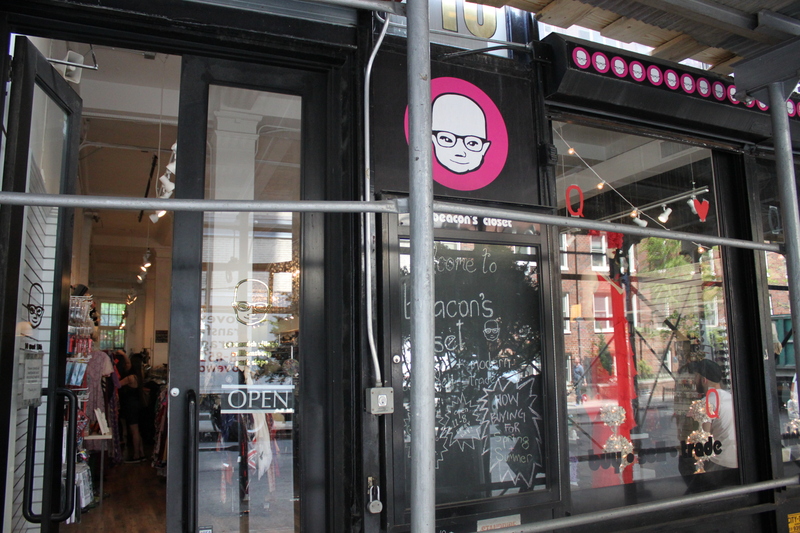 The owner, Joshua Suzanne, was extremely helpful as soon as I walked in. The store was filled with multiple racks of overalls, Levis jeans and shorts, camo jackets, vintage hoodies, sweaters, flannels and more. 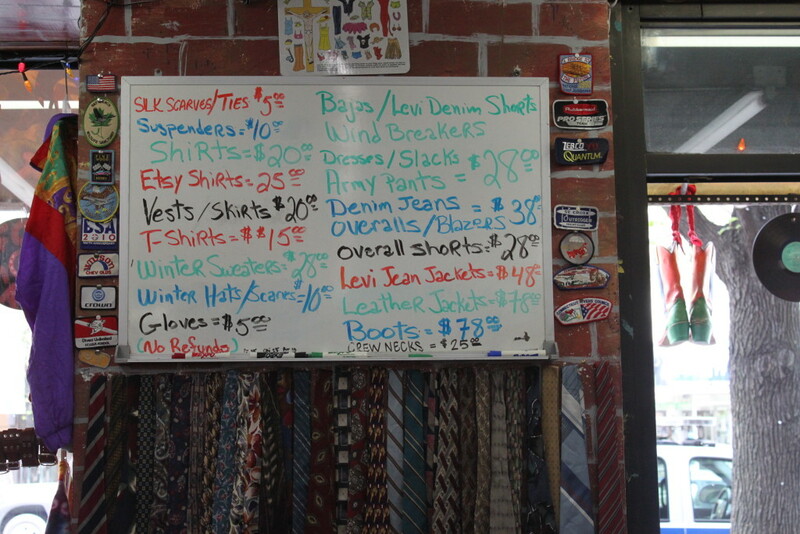 The prices for each item were posted on the wall. The prices were moderate but a lot more than I was willing to spend on a thrifting excursion. I knew I could find a few of the items for cheaper. Rags-A- GoGo has a huge mens selection that’s filled with a variety of pieces while the women’s section left a bit more to be desired. 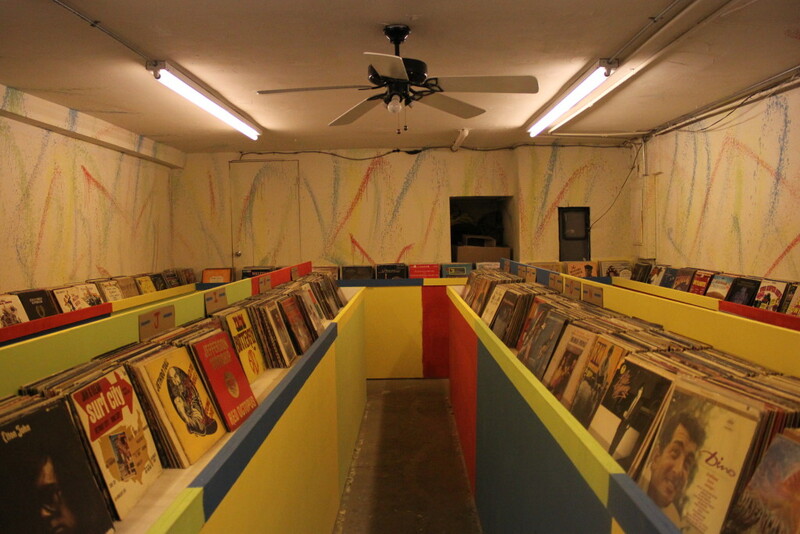 My favorite part of this vintage store was the basement, which is every record lover’s dream. The basement is filled with amazing records from different genres and will cost you $5.99 a piece. Though I didn’t find exactly what I was looking for at Rags-A-GoGo, I ended up getting a couple of vinyls for a friend. Would I shop here again? For clothing? Only if I were looking for something specific. But for records? I’d definitely be back! 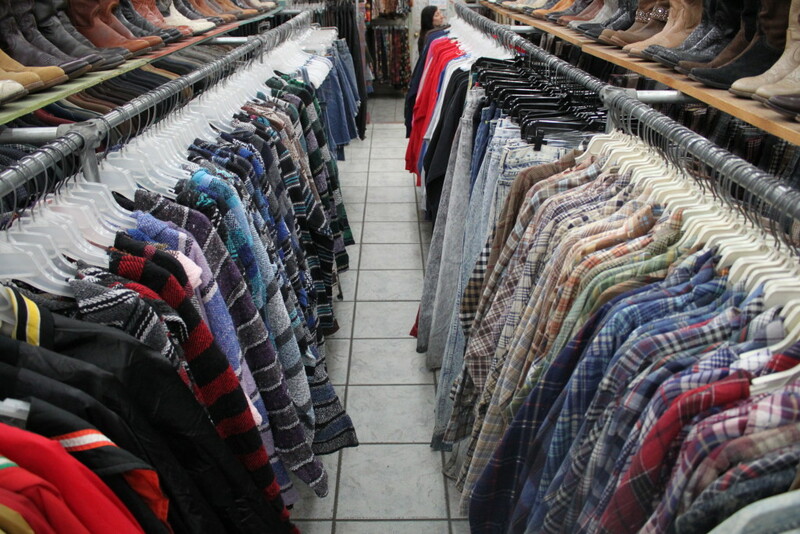 Tip #1: Know the difference between a thrift store and a vintage store. This is important. 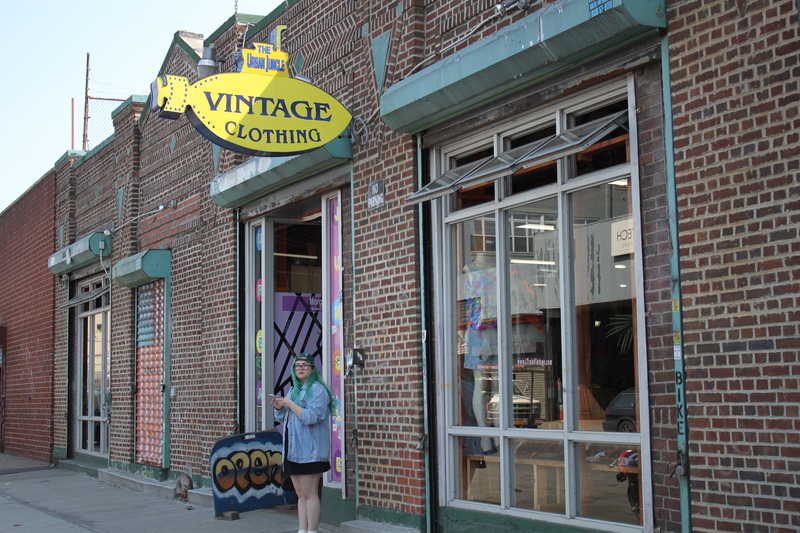 Not all vintage stores are thrift stores and vice versa. 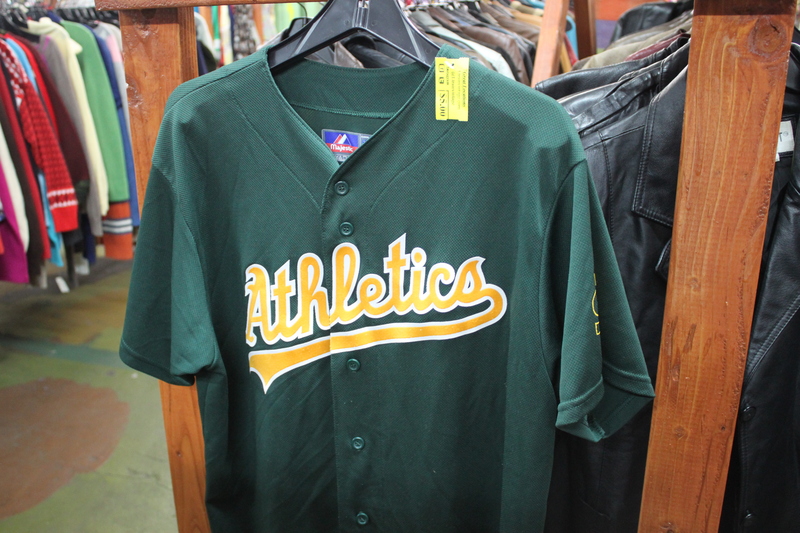 Typically, vintage or consignment stores have more upscale brands or awesome retro clothing. But a bigger name comes a bigger price point. 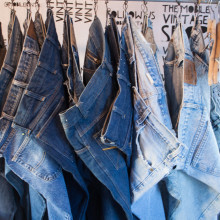 So if you head into a vintage store, be prepared to spend a lot of money. Despite it being packed, Beacon’s Closet was beautiful. Every item was sorted by color and style. There were endless options and my mind was blown. The store’s shoe section is amazing. I almost had a Carrie Bradshaw moment upon arrival. The price point for the clothing was determined by the name brand.  Clothing, that was obviously from Free People or Urban Outffiters, was in the $12 to $17 range while brands like J. Crew and Gucci cost more. 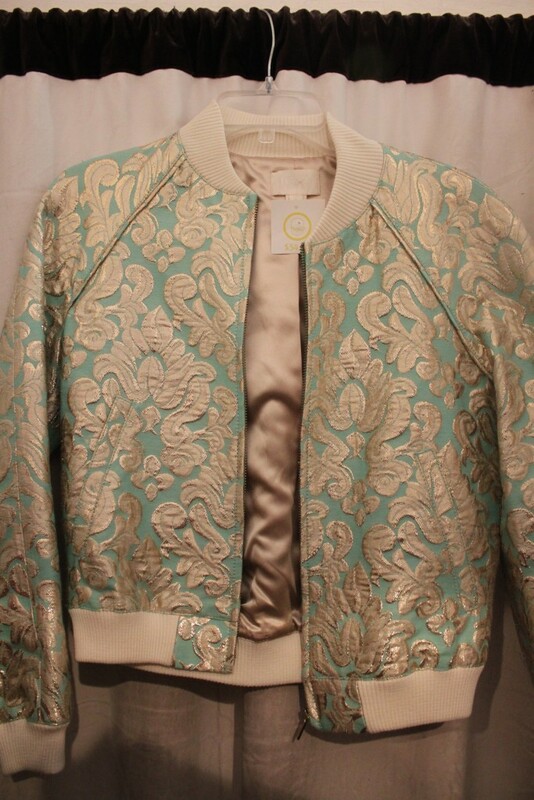 Though I fell in love with a couple of pieces at Beacon’s Closet, (including a pair of $40 snakeskin Gucci sandals I was willing to give my first child for) I walked out with nothing but the hope that I would find something I actually wanted soon. Don’t you hate it when you want to shop but can’t find anything you want? 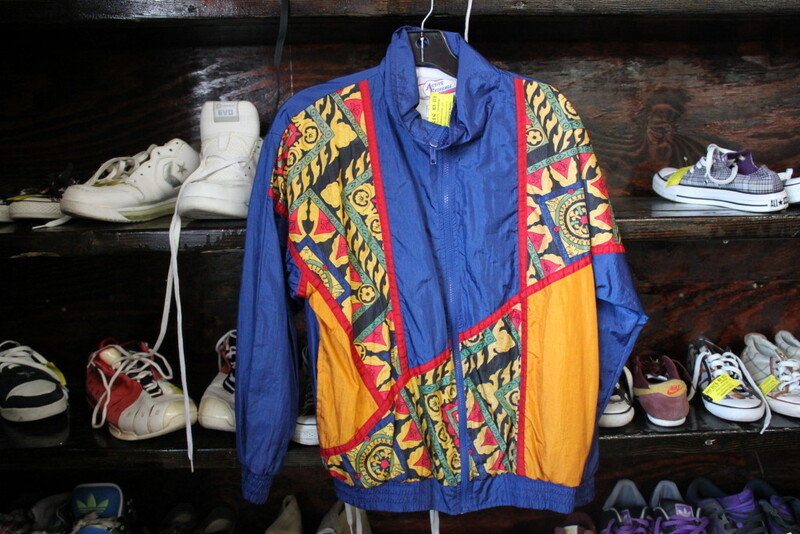 Tip #2: Have an idea of what you want before you go thrifting. Thrifting requires a lot of patience. You have to search through endless racks, which can be more than overwhelming, in order to find some gems. Before you head to the thrift store, create a game plan. Look through your closet and decide what pieces you’re missing, want, or need so you don’t get lost in the thrift or waste time! When I entered Urban Jungle, I felt like I just discovered a huge secret. The Bushwick thrift store had any and everything I’d ever seen on Tumblr or on an overpriced vintage store, for cheap. I was at home. 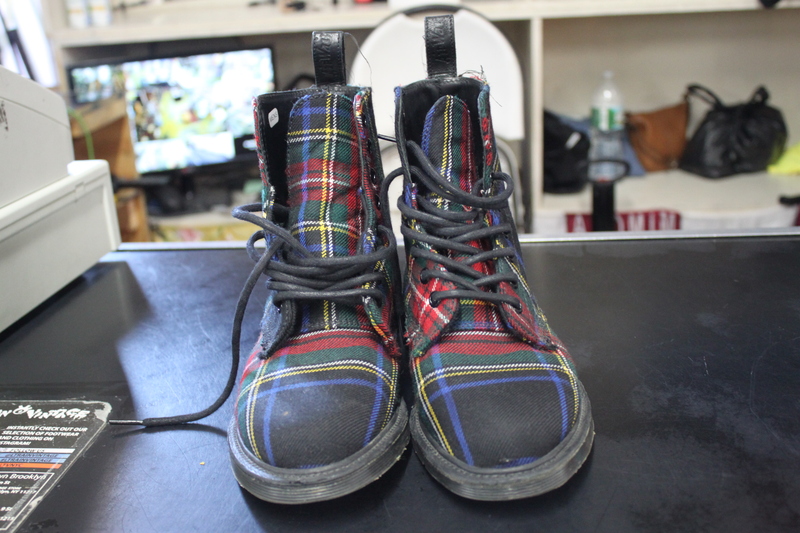 Upon arrival, a pair of plaid $20 Doc Martens immediately caught my eye. Urban Jungle’s mens section takes up the majority of the store, but it’s women’s section definitely had some standout pieces. 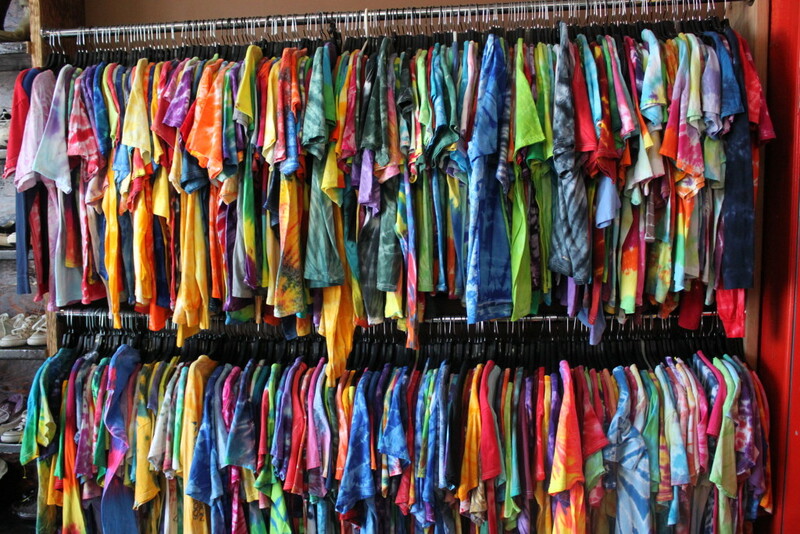 The store is filled with everything from $3 to $7 tie dye shirts to $10 and up starter jackets. I spent about two hours in the store searching through everything. Urban Jungle was easily my favorite thrift spot of the day. I tried on everything from a suede fringe jacket (that cost $20) to a vintage Airforce jumpsuit (which I planned on turning into a romper that only cost $8). 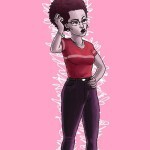 Eventually, I settled on a pair of Calvin Klein overalls that I plan on cutting and distressing and a baseball jersey. Outside of its awesome variety and helpful employees, the best part of Urban Jungle was the price! I spent $13 on items that I had seen earlier in other stores for a lot more. Tip #3: Just because it looks good on a hanger does not mean it looks good on you. Try it on! I can’t stress this enough. I’ve bought so many awesome pieces that looked amazing on a hanger but looked a hot mess when I got home. Most retro clothing has different cuts and fits differently than clothes today. So if you’re a 12 in a pair of jeans now, a size 12 jeans from 1995 might not fit you the same. Most thrift stores have fitting rooms due to their strict “No Return/Exchange” policies. So take full advantage of the fitting rooms, hell even have a photoshoot if you want! All in all, I had a somewhat successful day of thrifting. I’ll definitely be heading back to Urban Jungle, Rags-A-Gogo and Beacon’s Closet (whenever I’m in need of a shoegasm) very soon! 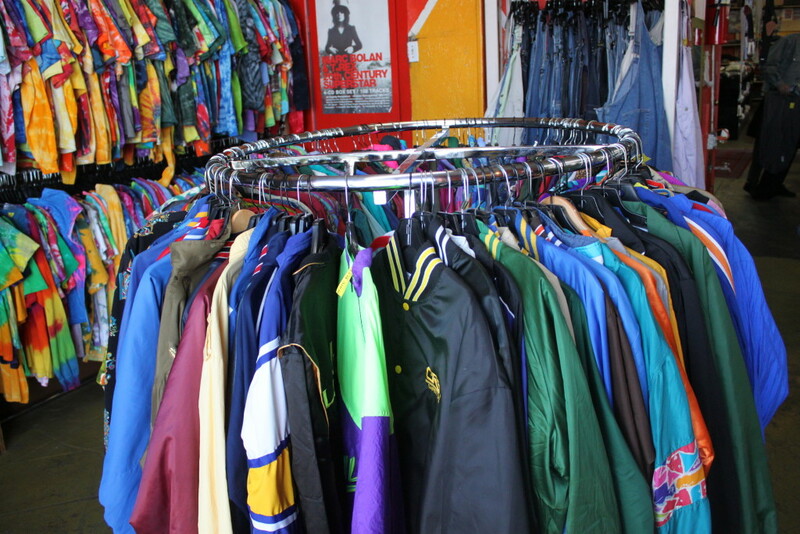 Where are some of your favorite places to thrift? Let me know in the comment section!